In considering the Ascent of Man (physical) from the lowly forms of the Monera, etc., up to his present high position, the student is struck with the continuity of the ascent, development and unfoldment. While there are many “missing-links,” owing to the disappearance of the forms which formed the connection, still there is sufficient proof left in the existing forms to satisfy the fair-minded inquirer. The facts of embryology alone are sufficient proof of the ascent of Man from the lowly forms. Each and every man today has passed through all the forms of the ascent within a few months, from single cell to the new-born, fully formed infant. This, then, in brief is the Western theory of Evolution–the Physical Ascent of Man. 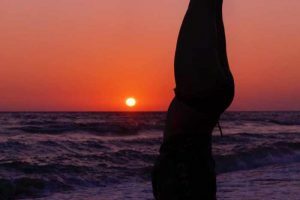 We have given it as fully as might be in the small space at our disposal in these lessons on the Yogi Philosophy. Why? Because we wish to prove to the Western mind, in the Western way, that Western Science corroborates the Ancient Yogi Teachings of the Unfoldment of Living Forms, from Monad to Man. The Eastern teachers scorn to “prove” anything to their pupils, who sit at the feet of teachers and accept as truth that which is taught them, and which has been handed down from the dim ages long past. But this method will never do for the Western student–he must have it “proven” to him by physical facts and instances, not by keen, subtle, intellectual reasoning alone. The Eastern student wishes to be “told”–the Western student wishes to be “shown.” Herein lies the racial differences of method of imparting knowledge. And so we have recognized this fact and have heaped up proof after proof from the pages of Western Science, in order to prove to you the reasonableness, from the Western point of view, of the doctrine of Physical Unfoldment as taught for ages past by the Yogi gurus to their chelas. You have now the Eastern Teachings on the subject, together with the testimony of Western Science to the reasonableness of the idea. But, alas! Western Science, while performing a marvelous work in piling up fact after fact to support its newly-discovered theory of Evolution, in a way utterly unknown to the Oriental thinker who seeks after principles by mental concentration–within rather than without–while actually proving by physical facts the mental conceptions of the Oriental Teachings, still misses the vital point of the subject-thought. In its materialistic tendencies it has failed to recognize the mental cause of the physical unfoldment. It is true that Lamark, the real Western discoverer of Evolution, taught that Desire and Mental Craving, was the real force behind Evolution, but his ideas were jeered at by his contemporaries, and are not regarded seriously by the majority of Evolutionists even today. And yet he was nearer to the truth than Darwin or any other Western Evolutionist. And time will show that Science has overlooked his genius, which alone throws the true light upon the subject.